Thanks to the appreciation and good will of big and small businesses, there are plenty of discount benefits for Military Veterans. Discover popular places where you can save money because you served. NOTE—The list of retailers and restaurants below is updated periodically. I've been an Army Veteran for almost 20 years now. When I first transitioned from soldier to private citizen (in the 1990's), there were some civilian benefits to being a Veteran, yet not talked about nor publicized very much. You had to do some heavy digging to find out any information that would be beneficial to a Veteran. Now, here in the 2000's, things have changed and expanded for Military Veterans, big time! 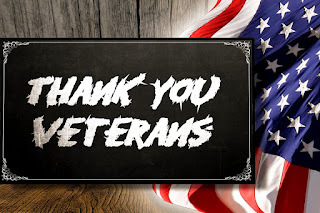 In this article, I'm going to share the various places we as Veterans can receive outstanding everyday shopping discounts. I remember when I first learned of the places that honored military discounts, the first thing I thought was, "You mean I could have been saving money all of this time?!". Some of these you may already know, and some may be a surprise to you. The one thing you need, to take advantage of the numerous discounts is a valid ID showing you have served. A VAHIC (The Veteran Health Identification Card -as a VA health care enrollee, this is what I have and use) If you do not have one, you can go to www.va.gov/healthbenefits/enroll to enroll. Once approved, you will go to your nearest VA clinic or Hospital and have your photo taken, and card printed. You can get a Veterans Designation on your state driver's license (currently available in 49 states, they are looking to have all 50 by August 2017). All you have to do is go to your local DMV and show them your DD214. At no cost to you, they will print you a license with your Veterans Designation. DD214. I'm not sure if this would suffice. I don't see why not, though, your information is on an official military document outlining your service. I would think you could use this in conjunction with your driver's license (to prove you are who you say you are). VFW membership card. I can't promise that this would work every time, but I have seen businesses honor the Veterans Discount with only a VFW card. American Legion membership card. Again, no promises here, some places are a bit picky about seeing official identification, but I think if the VFW card is acceptable at some locations, perhaps the American Legion card would be too. While the last three options are a bit iffy to me (even though, I have seen the VFW card work), I would recommend taking the time to contact the above links and begin the process of obtaining a proper, official veterans status identification card/letter. Start making a habit of just asking, "Do you have a Military discount?" You could be saving hundreds if not thousands of dollars per year, by taking advantage of the countless military discounts available to you. Here is a list of popular stores that honor Veterans by offering discounts. Verizon Wireless -they will supply a discount from your monthly bill with proper ID of Veterans status. Wyndham Hotels -Discounts vary with location, be sure to have your ID upon Check-In. Dunkin’ Donuts -Veteran's Advantage Members receive 10% Off on orders placed online. There are more businesses than I can list that offer Military Veteran discounts. Start making a habit of just asking, "Do you have a Military discount?". More times than not, you'll be surprised at how many of them say YES! Military Discounts Offered by Stores, Services & Online Sites | Military Benefits2017 veterans and military discount list of hundreds of companies that offer military discounts to service members, veterans, spouses and their families.